Enough is enough. We demand a Tim Hortons in Chicago. Have we not proven our civic love of hockey and doughnuts? Doughnut Day | Give Chicago a Tim Hortons now! Doughnut Day | Give Chicago a Tim Hortons now! We demand Timbits. Doughnut Day | Give Chicago a Tim Hortons now! 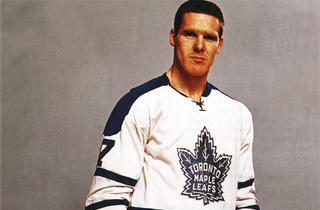 The man himself, Tim Horton, would want it that way. I watch a lot of hockey. 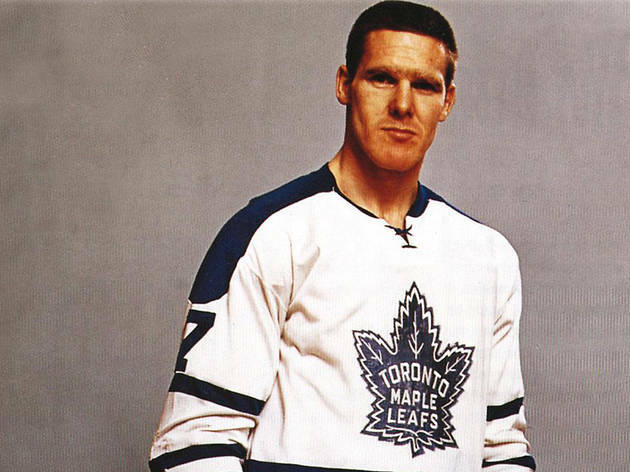 I love the speed, the mullets, the K- and I-stuffed Finnish names, the emergency dentistry, the nicknames (Soupy, Sharpie, Tazer, Kaner…), the Hawks, Jim Cornelison and the overall Canadianness of the sport. Canada is a wonderful country, and in my travels to Toronto, Montreal and Victoria, I've sought out brands of junk like Pizza Pizza, Molson, Roots, Boston Pizza and Tim Hortons because I see so many ads during Canucks, Leafs, Senators, Oilers, Flames and Canadiens games. You see these ads painted along the boards of the rink. It gives you something to want to buy as you watch a guy get his ribs crushed against the glass. 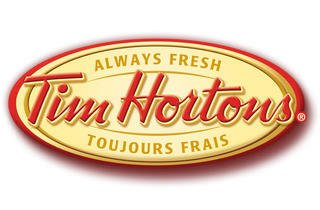 Tim Hortons is a doughnut and coffee shop, named after a hockey player. The maple dip doughnuts are amazing, obviously. 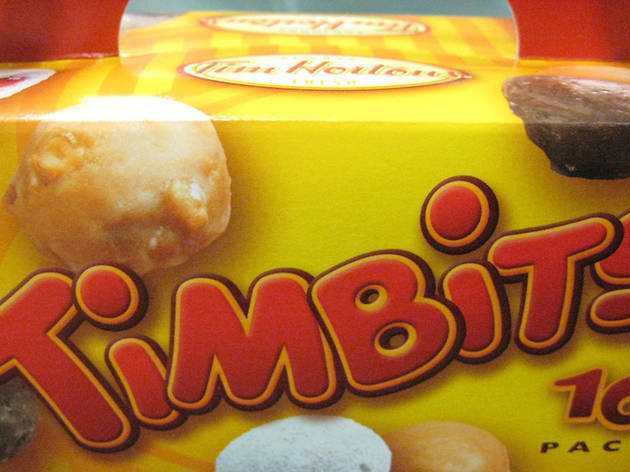 The dougnut holes are called Timbits. That's adorable. It's not just a symptom of grass-is-greener syndrome to say they blow away Dunkin' Donuts. Now, it used to be that one would only see Tim Hortons ads in Tim Hortons markets. Canadian cities at first. Then Detroit, as it's just over the river. Then, oddly, the franchises started mushrooming in Columbus, Ohio, a city that hardly deserves an NHL franchise (yes, they have one! Their mascot is a wasp that is into Civil War reenactments or something). Ohio State people are the worst. It eats up my doughnut processing parts to know those nutso fanatics get to pop sweet, sweet Timbits into their foot-loving mouths. 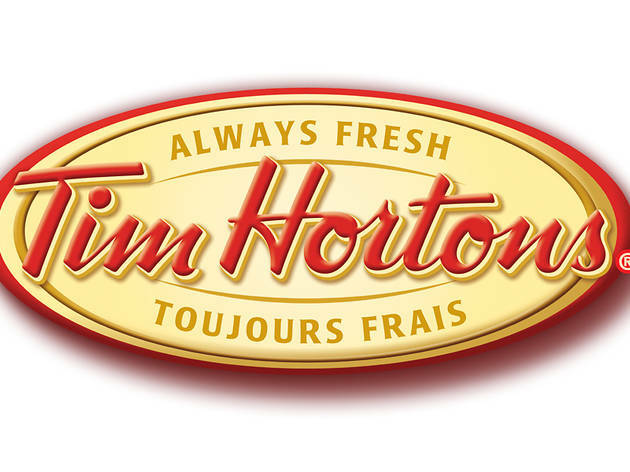 This year, Tim Hortons has increased its marketing presence at NHL games. There are Tim Hortons ads painted on the boards of the United and Staples Centers. Local Comcast carried a Tim Hortons ad during a recent Blackhawks playoff game. There are no Tim Hortons in Chicago (or L.A.). What the hell? Why are you such a tease, Tim Hortons? There are 50 Dunkin' Donuts in a ten-mile radius of our office (though that number might have increased in the time it has taken me to type this sentence). You can't go two blocks in the Loop without seeing one. There is a pink and orange stranglehold on the local mass-produced doughnut market. I'm guessing the DD mafia has something to do with keeping Tim Hortons out of Chicago. 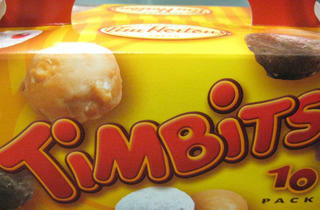 It's bad enough Canadians get free medical care, do we really have to settle for inferior rings of fat and sugar? The Tim Hortons coffee and sandwiches are superior, too. Chicagoans are crazy into hockey and doughnuts. Two million people took to the streets when the Blackhawks last won the Stanley Cup. We can sustain multiple gourmet doughnut shops. I pray for the day that Mounties march on moose down Michigan Avenue, as jets with red leaves painted on the wings fly over the skyscrapers, blaring objectivist anthems from Rush's 2112. Invade us, please. Put us out of our fast food misery. This is America, dammit. Give us our Canadian treats.